Barbie Dollhouse Furniture has got to be my personal all time favorite. What can I say? I simply loved entertaining myself with fashion dolls as a young child. I actually still have my first fashion doll. Surprisingly she's still in super shape. And not featuring one of my famous dolly hairstyles. Truly as a small child I could not quite understand, at an early age, why my dolls' hairdos would not grow back if I cut the hair off. Mine would grow so I thought so would theirs. Seemed logical at the time. And I did cut many of my own dolls' hair. Fortunately as well none of my sisters' dolls were my victims. Fashion dolls came on the scene after that phase, thankfully. But, I was showing my, now daughter-in-law, some of my old dolls and all she could say was, 'Lois those dolls would scare a child'. And of course they would too, today. The dolls I was showing her had, along with sporting my famous hairdos, been attacked by mildew. Especially around the eye areas. The eyes were actually a freaky kind of grey, weird color. Spooky really. So yes they were quite scary looking. All of them, Chuckie's cousins, or at the least, his immediate family members. 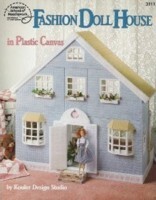 This is my favorite, Fashion Doll House in Plastic Canvas, book. The way the work is displayed and the order of creating each piece is awesome. If you wish to do an inspiring miniature design in plastic canvas, complete with special furnishings, this is an excellent choice. The book is simple yet thorough in its presentation. 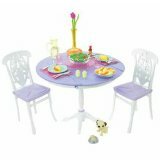 Barbie dollhouse furniture. . . .
We could I suppose talk about the beautiful barbie dollhouse furniture currently available. The choices could include such furnishings made with wood, plastic, clay or even metal. But I have long been fascinated with ones made with plastic canvas. They are intriguing and I have always wanted to have the time to create some. Boutique Shoppe. The designs by Kooler Design Studio are imaginative. I have several of them and love the way they are laid out. Definitely worth purchasing for the creative quality they have put into them. Plastic Canvas Nursery. This a stunning book by American School of Needlework. Absolutely fabulous with its assortment of nursery items to create. Wicker Lounge. This is a pattern by House of White Birches. Simply delightful in its presentation. You will be pleased to work on each item they have included. Dining Room. Another in the House of White Birches series for fashion dolls. Each pattern comes with all the instructions to make the entire barbie dollhouse furniture featured on the cover. 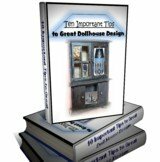 Each of these books feature projects to keep collectors and the most gifted crafters busy and entertained for a good amount of time. Each of the books have at least 10 small items to be crafted. Just looking at them makes me want to begin a project today. Unfortunately as with things in life though some of the above selections have been discontinued. However look in the product box below for alternative choices. Plus where it says there is no image available for some items. If you click through to Amazon they usually have a picture supplied. Special Note: If you simply must have a certain book. Try writing a letter or email to the publisher of the publication. You may be surprised what you can acquire if you ask. As you order your books I would love to see what you decided to make. Drop by again and share with everyone what barbie dollhouse furniture projects you are currently working on. Check out this information block for a word about the below Search Box...Replace the word in italics with the subject topic or keyword of the following box where appropriate.